While writing has always been in my life, it wasn't until I brought out my first books as an indie author that I met others who wrote in my genre. It's been one of the bonuses along with my opportunity to bring some of the authors here when they are bringing out a new book. Amelia C. Adams is the author of the bestselling Kansas Crossroads series, as well as a contributor to River's End Ranch and Mail Order Mounties. She lives in Idaho, is a wife, a mother, a taco eater, and a taker of naps. She spends her days dreaming up stories and her nights writing them down. Her biggest hero is her husband, and you might just see bits and pieces of him as you read her novels. Below is the cover, blurb and link to her next book, the first in a new series, Brody Hotel. Involving itself with an old hotel, renovations and decorating, this contemporary romance sounds like its extras are right my alley for books I enjoy the most. Andrew Brody, investment banker and self-made millionaire, has just lost his father, but gained an estate. 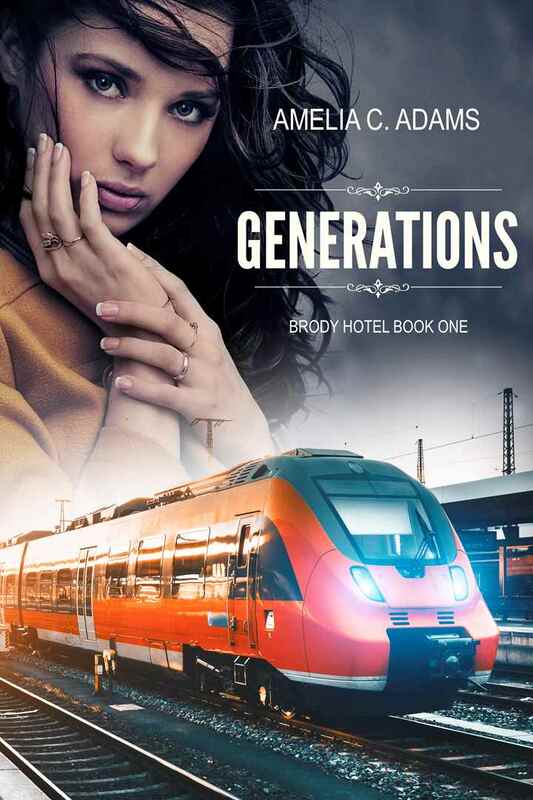 Along with inheriting stocks, bonds, racehorses, and undeveloped land, he learns that he is now the owner of a hotel that has been in the family since 1875 and should probably just be torn down. Marissa Clark needs a new challenge - staging homes to sell and rearranging pictures on walls isn't what she dreamed of doing when she became an interior designer. When she gets a call asking her to help renovate a historical building, she leaps at the change - what a great way to use both her love of texture and fabric and her love of history. They believe they're just taking an old building and giving it a second chance at life . . . but they have no idea that they're getting a second chance too.